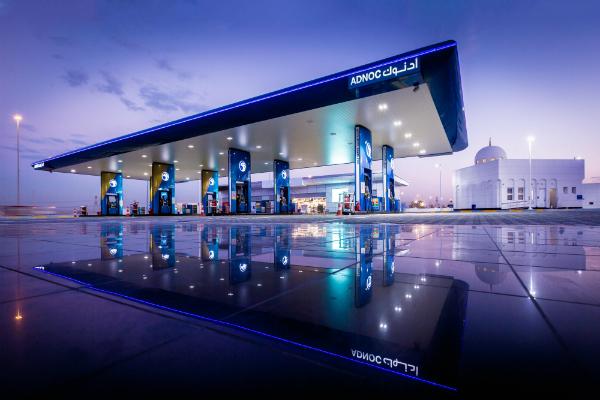 UAE fuel station firm ADNOC Distribution said on Monday it had opened its first location in Dubai. The Dubai Investment Park outlet is solar powered and features six refuelling islands along with a Géant Express convenience store, an Oasis Café, ADNOC Lube services, two electric vehicle charging stations and free Wi-Fi. McDonalds and KFC outlets will be opening in the coming weeks, ADNOC said. “We are extremely pleased to have opened in Dubai and to be serving customers in all of the UAE’s seven emirates,” said ADNOC Distribution acting CEO Saeed Al Rashdi. The company said it would begin charging for attendant refueling in the coming months after an initial trial period.